Nicely upgraded kitchen & master suite with balcony. Extra spacious living room is great for large families or gatherings. Master suite with remodeled bath. Two downstairs bedrooms and remodeled bath. Huge lot with room for all of your outdoor plans! Mini basketball court and extra large covered patio. 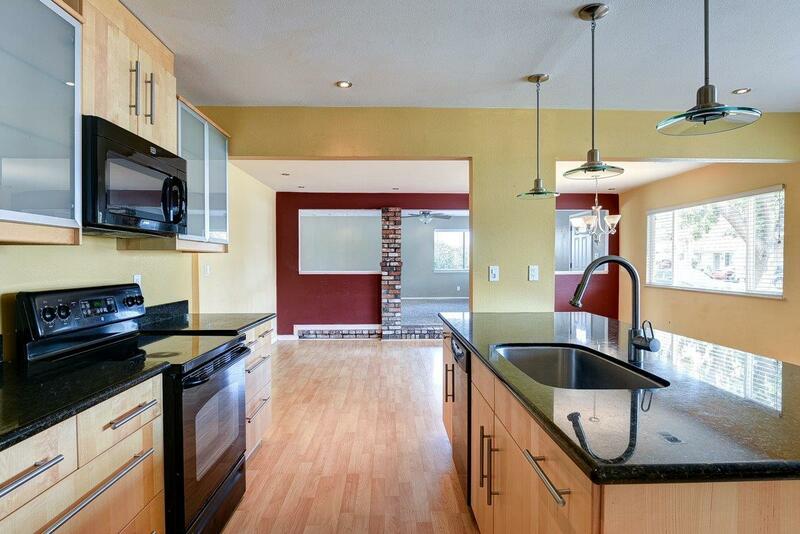 Close to schools and shopping, plus an easy commute location to I-5 and 580. Wonderful space for the price and so much potential!! !